Wedding Ideas for Summer - We came across some of the coolest inspirations! Pastel blooms and buds of romance, Summer is all about them and is a wonderful season to get married! Who wouldn’t want natural surroundings to be a part of their wedding. The days are longer and the spirits are high, unlike winters when you are all droopy and fighting winter blues. There are myriad reasons to celebrate summers, and one such reason is a wedding. Wedding ideas for summer is certainly a great help when you want to add freshness to your events. Oh! A summer wedding. Everything floral and everything green, you will love it all. The lushness and abundance of this season adds to the beautiful arrangements of wedding décor. Colors!!! You can have a riot of colors at your summer wedding, choose different shades ­– from dreamy pastels to monochromatic whites, from refreshing aqua to misty greens!! A summer themed wedding can have everything that is alive and buzzing in nature. We’ve got some vibrant inspirations from Pinterest that you can incorporate in your summer wedding. The guests at your summer themed wedding will just love this amalgamation of coral blooms mixed with pale greenery! Want something a little extravagant? Have your florist arrange for such shades of flowers that match with the dress theme—we really love how sunset-y this arrangement is. Perfect for summer! How can we not talk about blues and violets in summer! Shades of this freshness come together in a beautiful harmonious burst ombre effect. Summer means tropical, and it doesn't get more tropical than this! You can also match these shades with your outfits and make the perfect summer wedding dresses! Ask your florist and do something with winding greenery and roses to make a statement at your Summer wedding. Have fun with the food arrangements! 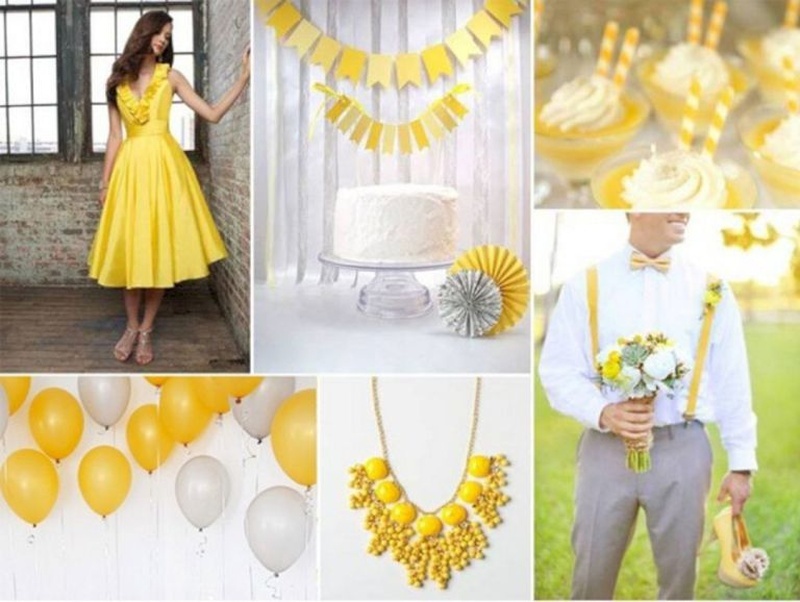 Who knew that summer wedding colors can be incorporated in them as well!